RTE's GAA pundits have been warned that personal attacks on players or managers will "not be tolerated" as the national broadcaster looks to bring in fresh faces as part of its package. In a wide-ranging interview with Gaelic Life, new Head of Sport at RTE Declan McBennett said that the message has been conveyed to all its analysts. "I Think there is an onus on RTE to be critical but to be conscious of what is being played out in front of you," said McBennett. "The message that has gone out to all analysts is that there are no personal attacks allowed. "They can be critical of formats, structures, tactics and systems but they can not be critical in a personalised way of individuals. I have no time for, nor will I tolerate, personal attacks on individuals." McBennett also emphasised the importance of bringing in younger pundits to reflect their audience. "If you look at the last couple of weeks, we've had Michael Quinlivan, Cora Staunton, Shane McGrath, Derek McGrath, Michael Meehan in analysing. "I think the game now is fundamentally different to the game that some of the analysts played. "The principles are the same, it's still about putting the ball over the bar or in the net, but the tactical exchanges are now fundamentally different and we have to reflect that. 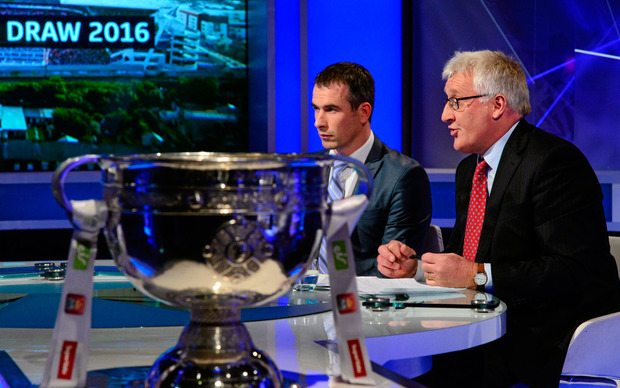 "On one particular Sunday we had 13 panellists covering GAA across TV, radio and online. All 13 were men and the average age was 53. That's not representative of the crowd at the match or the audience watching the match. "If they have credibility, an informed opinion and they can articulate that opinion then I don't care if they are a man or a woman."